Oh K! Ginseng & Eucalyptus Undereye Mask-Oh K! The Oh K! 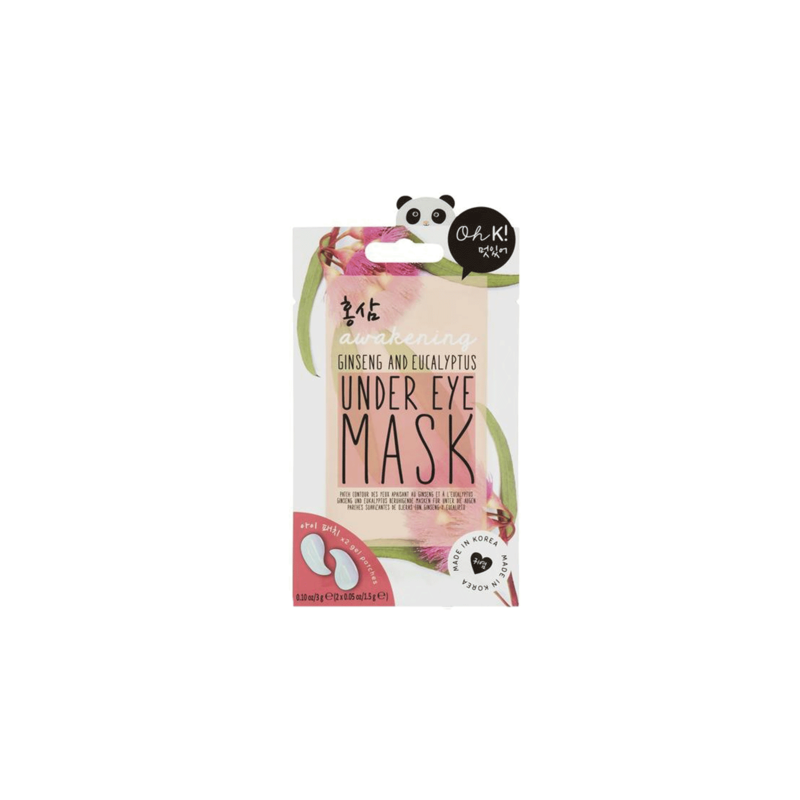 Under Eye Mask features two gel pads, perfectly shaped to target the under-eye area. Enriched with 12 skin hydrating extracts, including ginseng, the mask helps awaken skin and visibly reduce the appearance of fine lines and wrinkles. 1. Open and remove patches from the tray. 2. Peel off film and place the patches under the eyes. 3. Keep the patches in place for 20-30 minutes. For extra relaxation, pop on one of our playlists for the ultimate pamper-time. 4. Remove the patches and gently massage any remaining product into the skin until thoroughly absorbed. No need to rinse..